What Do You Want to Draw Today? The Scribbles Institute is where adults and kids learn basic drawing skills for work, school, and pure enjoyment. 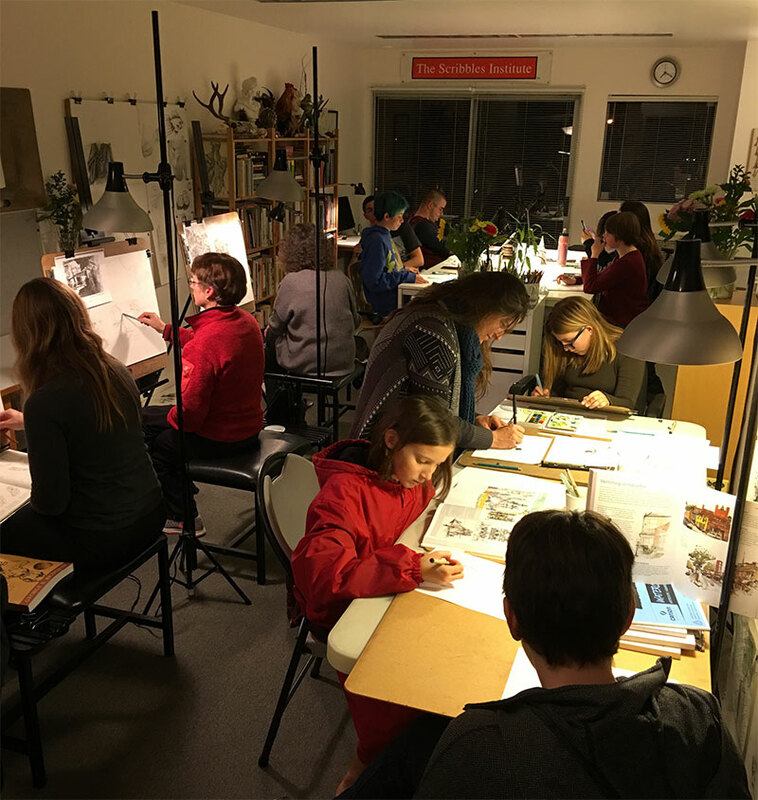 Classes and workshops are always forming—online, on the streets, and in our friendly Santa Cruz studio. Start by Mastering the Basics Learning to draw with confidence means learning to see and draw accurately from life. 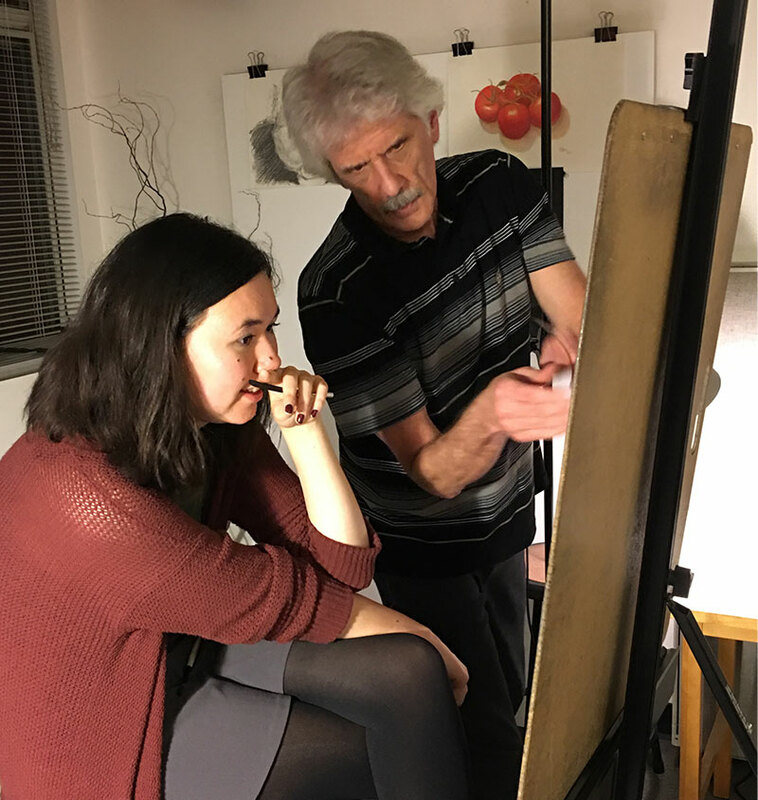 Drawing Coach Rob Court helps absolute beginners and experienced artists learn basic drawing skills. Work with Rob in the studio or take him with you as a Mobile Drawing Coach. Live to Draw. Draw to Live. Join SketchTribe! Enjoy improving your observational drawing skills. Learn to use your sketchbook for developing ideas, organizing your thoughts, and increasing productivity. And we’ve got free Meetups that are really cool. Rob Court is a positive and upbeat mentor for inspiring artists. "My daughter has always been interested in drawing. However, she was limited to a few self-taught techniques and a #2 pencil. 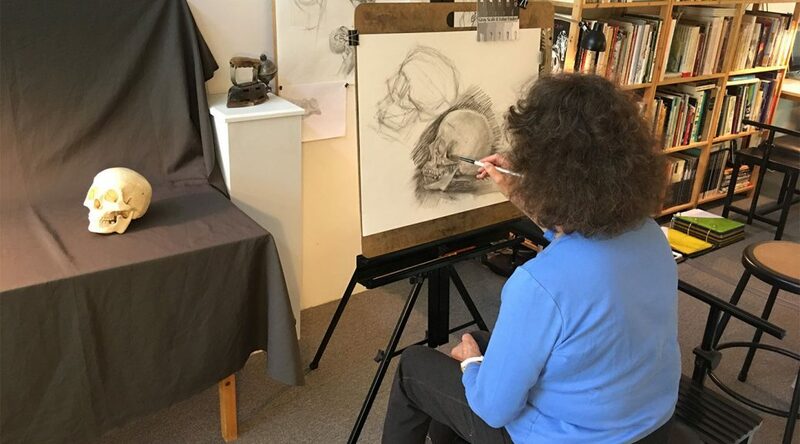 After having taken several art workshops at the Scribbles Institute, her abilities now include using charcoal pencils, shading, and drawing proportionally from objects at different angles. In addition to learning new avenues to express creativity, the Scribbles Institute has an pleasant atmosphere where my teenage daughter can enjoy the company of other young artists who have similar interests. Rob Court is a positive and upbeat mentor for inspiring artists. He has encouraged my daughter to pursue her talents and experiment with new ideas. Both my daughter and I are delighted with the Scribbles Institute and look forward to more workshops." I have never seen my students more engrossed in what they’re doing. "Rob is an excellent, patient and innovative art teacher! He has been a guest teacher in our school for the past two years. I have never seen my students more engrossed in what they’re doing. He has the ability to take “non-drawers” and bring them through a series of exercises that allow them to find their artistic confidence in no time; at the same time he has no trouble keeping very artistic students challenged. His peaceful demeanor helps create a safe and quiet work space that is so much needed in today’s society. His studio in the Sash Mill has the same feeling to it. Students are now going down there to draw on the weekends!" My drawing course with Rob Court was a positive experience in every way. "His impressive talents, coupled with his non-stop enthusiasm, make him an exceptionally effective teacher. This is reflected in all of his interactions with his students, creating a warm, accepting learning environment." Thanks so much for all you do with our students! "You’re the best! I look forward to a long standing relationship together serving the students of Monterey County Alternative Programs." I really couldn’t have asked for a better instructor. If you want to learn to draw Rob is the teacher for you! "Rob is the best drawing teacher I’ve ever had! My husband and I have taken 4 classes with him, and would take more if we hadn’t just had a baby. When she gets older we will be back for sure.  The classes are fun, you learn a lot. And Rob is a super patient guy who is always encouraging. He pushes you to find your potential, but never too fast ,and always in a positive way. Never would I have thought it possible to create what I ended up creating, but Rob was right there the whole way encouraging me to branch out and keep exploring, and trying new techniques. If you want to learn to draw Rob is the teacher for you!" The studio is very conducive to the process. I highly recommend Rob and The Scribbles Institute to all. "Rob is an excellent, caring, and patient teacher. He has a thoughtful lesson plan and moves at the right pace for me. He encourages me to go farther than I think I can but always to the exact level I really can. The studio is very conducive to the process." The studio is a comfortable environment – something about the atmosphere contributes to the whole process. "After wishing for quite a while that I could develop my drawing skills, I was delighted to find the Scribbles Institute. The classes are focused and productive without being intimidating. Rob, the instructor, is not only a skilled artist, but also an excellent teacher – very encouraging and supportive. He covers the key topics necessary to improve one’s drawing, while adapting to individual student needs and goals. The studio is a comfortable environment – something about the atmosphere contributes to the whole process. Great place to learn!" Quite simply the best place to learn how to draw in Santa Cruz or South Bay. "Rob is an excellent, knowledgeable teacher who knows how to connect with his students to nudge them in exactly the right direction at the right time. He creates an inspiring, supportive, artful environment that encourages the advancement of every participant’s creative goals, and also a camaraderie among the students that even further heightens everyone’s positive experience." If you are looking for a caring, talented, knowledgeable, intelligent drawing coach, Rob is your guy. "Rob is always completely engaged in the class and is able to move effortlessly from student to student. He will guide you line by line if that is what you need. I have studied with many teachers and Rob is by far the best and has taken me further than anyone." Rob is excellent at reading what each student needs and he helps guide them. "My daughter and I have been going to the Scribbles Institute since the winter of 2016. At the time, my 10 year old daughter had been doing lots of art, but I could not find a class that would enroll a child her age and still challenge her at the level she was at. He does not teach us “how” to draw, instead he teaches us how to see the world around us and then he gives us the tools to interpret these things. Rob has created an amazing environment where students of all ages and abilities come together for the evening and have a safe space to explore. Rob is a gifted artist, but more importantly he is a master at supporting others through his/her process knowing when to remove the scaffolding and when to support them." Rob strikes a good balance between discliplined learning and an openness to individual learning objectives. If you have any inclination to draw, I highly recommend him. "Rob is a patient and fun drawing teacher. He’s put together a creative but peaceful studio environment (the new one at the Old Sash Mill is especially nice!) and has developed an excellent curriculum. I wanted to draw better for a long time. When it became necessary to sell visual ideas at work, I decided to do something about it. After taking Rob’s classes, I had both regained my appreciation for the art and got a design proposal approved at work." A gifted teacher with an ability to connect with students. 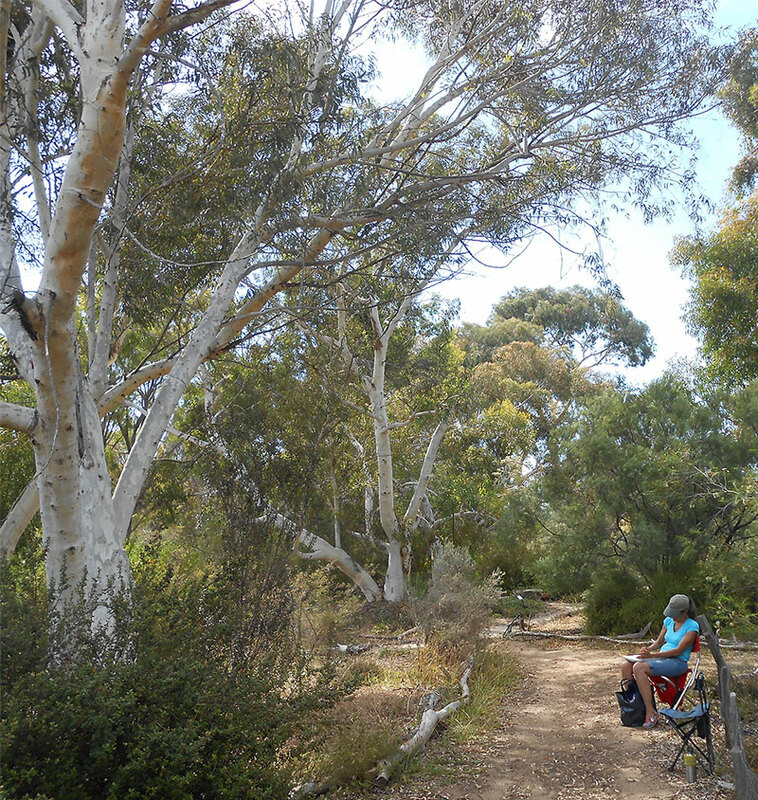 "Rob’s Draw to Learn program is a perfect fit for our alternative education program. He is a gifted teacher and has the rare ability to connect with students and get them to explore their potential through drawing. The proof is in the amazing work that is produced."